Items 463- out of displayed. Quite negative sentiment across the board as new trading week starts. 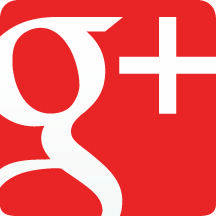 We noticed that as soon we saw strong gains on gold and Swiss franc, which means that traders are looking for safety. Stocks as we can see are also lower across the board, currently in red in European markets after Nikkei and HSI lost more than 0.8, and China almost 3%. Now you are probably wondering what our thoughts for the US dollar are!? Well, on the dollar index intra-chart we can see that bounce from the lows is quite weak, shows evidences of a corrective move, which means that we still favor a continuation of a bear market that was seen in the past week. But an overlap with 74.53 area will make things more complicated. The plan for Greece is sending markets higher across the board, with Nikkei up more than 1.2%, Hang Seng Index +1.7% and China 0.18%, following the pattern from Wall Street. We see the similar situation on European markets that just opened and are already more than 0.5% in the green. FX market was mostly consolidating in tight ranges during Asia, which are only corrective waves within larger pattern, which is clearly against the buck. We expect to see further weakness on dollar index, now towards 73.50 that will send other majors higher, such as Euro, Pound, Aud, and Cad. Regarding the Futures makret, traders should pay attention to 1354 and then 1367 highs on S&P, where break should be extremely bullish signal for days if not weeks ahead. Very nice, sharp break lower on dollar index yesterday; definitely a move that you want to see when you are looking for continuation of a larger trend, downtrend in our case. Market fell below black wave 1 support and also below the trend line connected from 72.70, which confirms a bearish outlook. As such, further weakness should follow and send prices down towards the 72.50 target area for wave 3, while 75.10 holds! Finally Aud/Usd moved higher and formed a daily close above 1.08 region that we paid attention on, which should now bring more bulls into action. We expect 1.1 to be hit early next week, as we looking for continuation within a wave 3. Critical region now stands at 1.0560, where wave 2/B( shows signs of a completion. 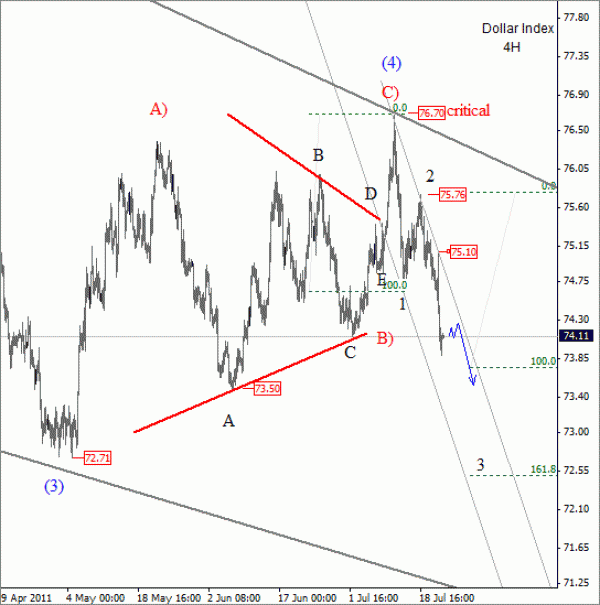 As expected, Usd/Jpy broke lower in the past week, from wave B) consolidation, which found a top at 81.47. From there we are monitoring an impulsive price action within wave C) which is still incomplete. 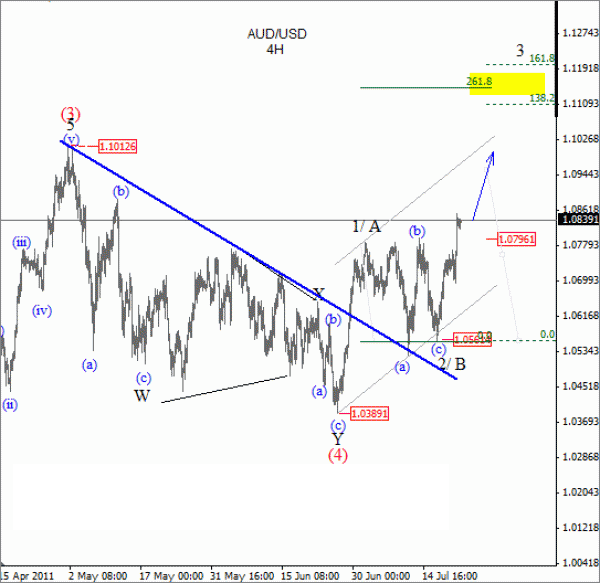 Currently, the price is slow around the lows, which we believe its a corrective, sideways move, labelled as a wave 4. As such, we anticipate another push lower, which will be wave 5 of C). Gold hit a new all-time high recently around 1610 and we see a lot of room for even higher levels in days and weeks ahead. On a daily chart we are monitoring an impulsive advance from 1307 lows, where a final leg of that move, wave 5) may form an extended structure up towards 1700 and higher while 1478 critical region holds. The main reason for that outlook is a current rally from 1478, which shows personality of a third wave; huge sharp move in a relatively short period of time. Within this leg we are looking at incomplete impulsive rise, which however found resistance in recent sessions, around 1610 region. This was likely a wave (iii) top as shown on the chart, which has accomplished its impulsive rise. As such, a corrective reversal is now unfolding, labelled as a blue wave (iv), which must form three sub-waves of a pull-back before uptrend will be expected to continue. Eur/Usd has recovered nicely from the 1.3836 lows, in impulsive formation towards 1.4282 region, which we know should be start of a new trend as Elliott Wave theory suggests. Even a recovery in this week from 1.4014 looks promising as a decline from previous resistance showed corrective qualities. As such, wave (2) may have already hit a bottom and in such case, price should rise in the week ahead up above 1.4282 and then towards 1.44 trend line resistance. Usd/Cad reached levels above wave (a) recently and if we are correct, then we know that wave 2 flat correction should be near completion, which will send Usd/Cad into a new low. In fact we can see also sign of a huge head and shoulder pattern, which is another evidence for a continuation of a bearish trend. Weakness in view towards 0.940 and even lower as long as the critical region at 0.9777 remains in place. Usd/Chf made a nice sell-off in the past week, from 0.8500 region where wave (e) completed a very nice, clean running triangle. We know that triangles unfold just prior to the final move in the larger pattern. Most typical appears in wave four of an impulsive wave and wave B of a zig-zag move (three wave, corrective structure). Well Usd/Chf is falling for more than a year now, so we are quite confident that this triangle was in wave 4 and not wave B. As such, current sell-off must be wave 5 where five sub-waves will cause a bullish reversal, at least temporary. At the moment, however, we still believe that pair is trading in wave (iv), so wave (v) still in view towards and below 0.8000 psychological level.